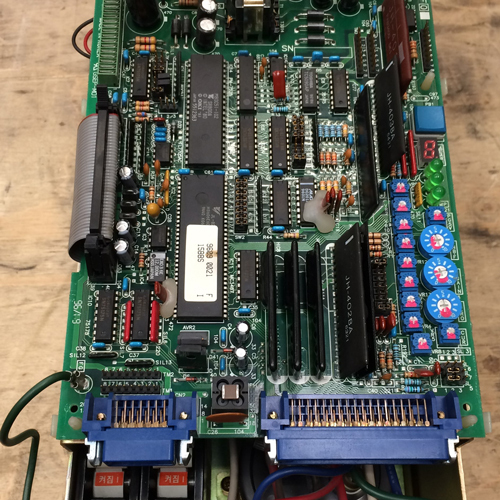 Our facilities allow our engineers to confidently and safely repair DC Drives, AC Drives, Inverters, Lift Drives, Industrial washing machines drives, Spindle Drives and Soft Starts. All repairs undertaken include preventive measures such as the replacement of electrolytic capacitors/ electronic cooling fans and full cleaning if required. Specialist advice is offered on the best means of avoiding future equipment failure.